Nobody. Your data is kept only on our servers and we are not sharing your data with no other 3rd party companies. Your contact information is collected when you register on our app or when you subscribe to our newsletter. Registering via app will collect your first name, last name, e-mail address, profile picture, country, and coordinates. The coordinates will be saved only while you are online on the app. Once you exit the app, the GPS coordinates will be deleted. Your e-mail address will be included in our newsletter and we are going to send you notification e-mail with news about go-crew. Subscribing via subscription form on our website will save your name and e-mail and will be included in our newsletter and we are going to send you notification e-mail with news about go-crew. Our server is using HTTPS protocol for a secured connection. You app data is saved on our server that is hosted on https://www.hostinger.com/ . The authentication methods on our app are using Firebase API. For more information about this read: https://firebase.google.com/docs/auth/ . Firebaase is a sub-division of google. In case you register on our app as Anonymous user, no personal data will be saved. Only the GPS coordinates will be temporarly saved while the app is running. How do we use your information? 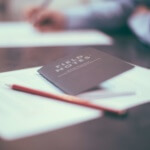 We may use the information we collect from you when you register, make a purchase, sign up for our newsletter, respond to a survey or marketing communication, surf the website, or use certain other site features in the following ways: • To personalize your experience and to allow us to deliver the type of content and product offerings in which you are most interested. How do we protect your information? We do not use vulnerability scanning and/or scanning to PCI standards. We only provide articles and information. We never ask for credit card numbers. We use regular Malware Scanning. We do not use an SSL certificate • We only provide articles and information. We never ask for personal or private information like names, email addresses, or credit card numbers. By logging in to your account How does our site handle Do Not Track signals? We don’t honor Do Not Track signals and Do Not Track, plant cookies, or use advertising when a Do Not Track (DNT) browser mechanism is in place. We don’t honor them because: We do not sell the data ! We only use it for statistic and reporting purposes. 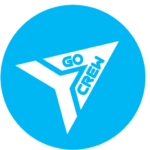 Go Crew Elias Holl 11A Nurnberg, Bayern 90478 Germany info@go-crew.com.